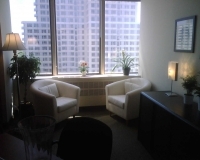 Couples Services - Welcome to Our Life Coaching Practice! How Can Couples Therapy or Coaching Help? Even the most compatible couples can benefit from counselling. In my practice, I provide a safe and neutral environment for both parties, where it is possible to navigate through the issues in a constructive way. I offer a third point of view in order to help you to see the situation from a different angle - as opposed to deciding who is 'right' or 'wrong'. My therapy is solution focused and productive, allowing you and your partner to achieve results after a minimal number of sessions. Couples sessions are 50 minutes in length and are covered by most extended health care plans.